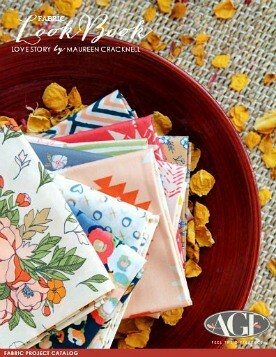 Maureen Cracknell Handmade: A Community Sampler Giveaway with Lady Belle Fabrics! 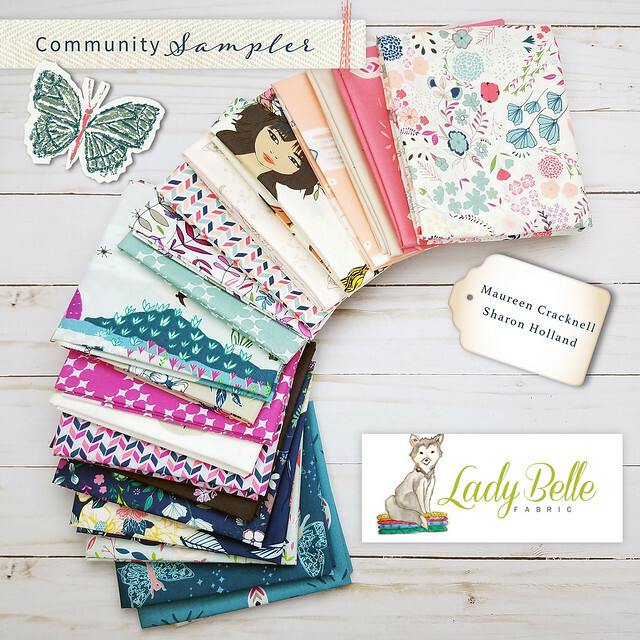 A Community Sampler Giveaway with Lady Belle Fabrics! 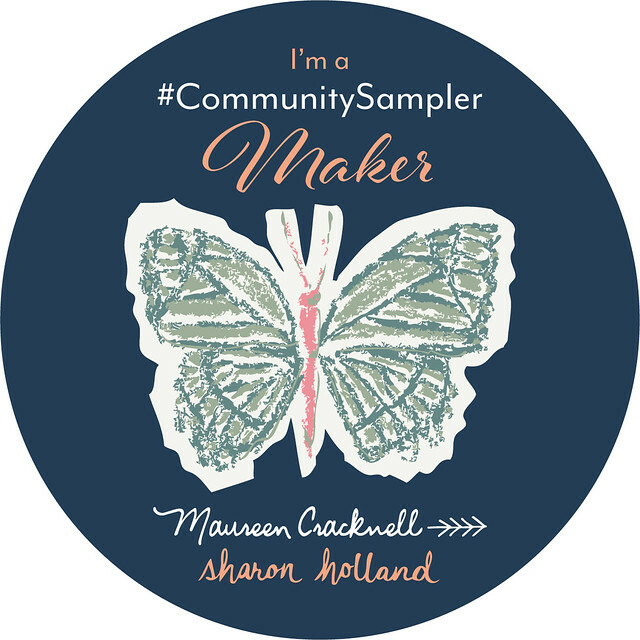 It's Community Sampler Giveaway Friday! 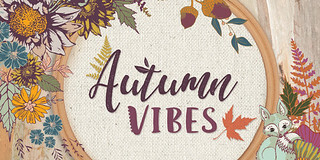 Each Friday, throughout the Community Sampler sew-along community event that Sharon Holland and I are hosting together, we've lined up a new, special Giveaway with one of our amazing, participating sponsors! 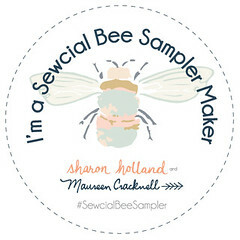 If you happened to miss the launch of our Sewcial Bee Sampler you can follow this link for all the info and can join us anytime - it's never too late to jump in! 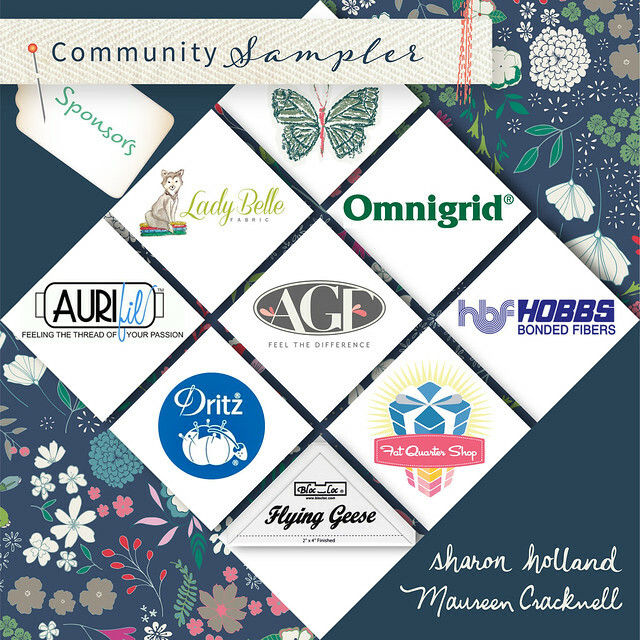 Today's featured Community Sampler sponsor is Lady Belle Fabrics! Lady Belle Fabric is run by husband and wife team, Rob & Brooke. In their shop you'll find both bundles and single cuts of handpicked fabrics that are fresh, modern, and fun! Designer fabrics include many of our favorites -- Art Gallery Fabrics, Cotton + Steel, Free Spirit, and Moda, just to name a few! 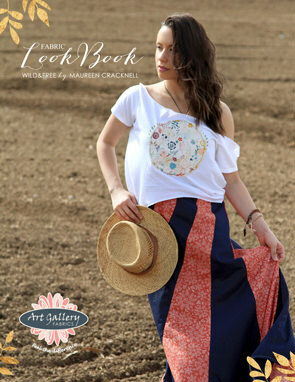 Lady Belle Fabric's goal is to offer the most gorgeous fabric as quickly as they can! Shop * Instagram * Facebook * Pinterest We hope you enjoy visiting Lady Belle Fabric! 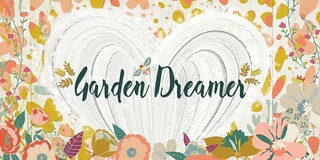 For this week's Community Sampler Giveaway, Lady Belle Fabric is offering the winner a complete Fat Quarter Bundle of my brand new collection for Art Gallery Fabrics, Flower Child! 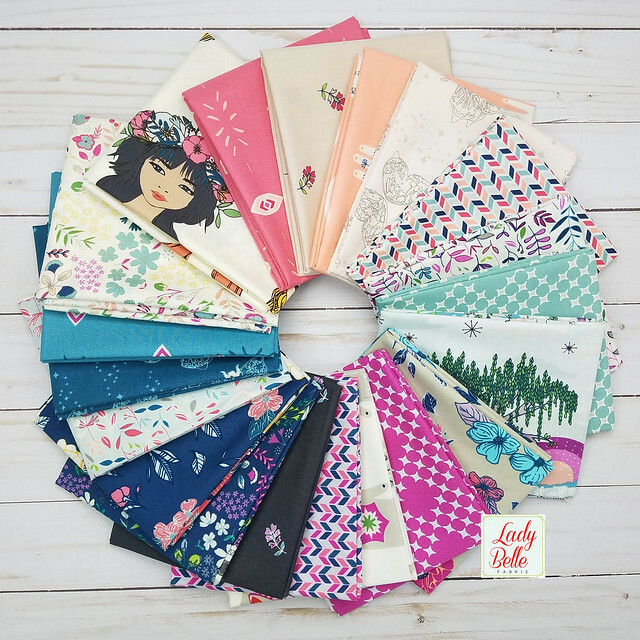 This pretty bundle includes all TWENTY Flower Child prints and can be found at Lady Belle Fabrics as both Fat Quarter and Half Yard Bundles, along with bundles of the Pure Element Solids that coordinate perfectly with this collection! That’s 4 possible entries! Enter now through Monday, May 7th!! The winner will be picked at random and I will announce their name at the bottom of this post here on the blog! Our Giveaways are always open to EVERYONE, anywhere! Just please remember that if you're a "no reply" or anonymous commenter, to include your email address in your comment! Very pretty fabrics. They would make awesome Beads of Courage bags. I follow Lady Belle on Facebook. 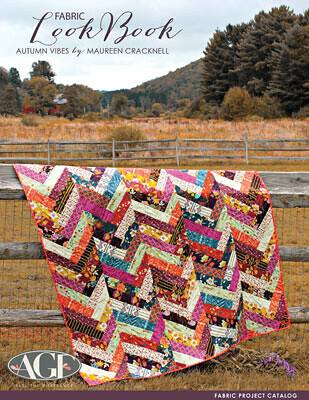 Beautiful fabrics - would love to add them to my stash! Love the fabrics. So cute. I would love to hold these beautiful fabrics as my own. These are such bright fun prints. I want them all to make some lovely dresses for me saughter! I follow you on FB and love your fabrics. They are your signature. 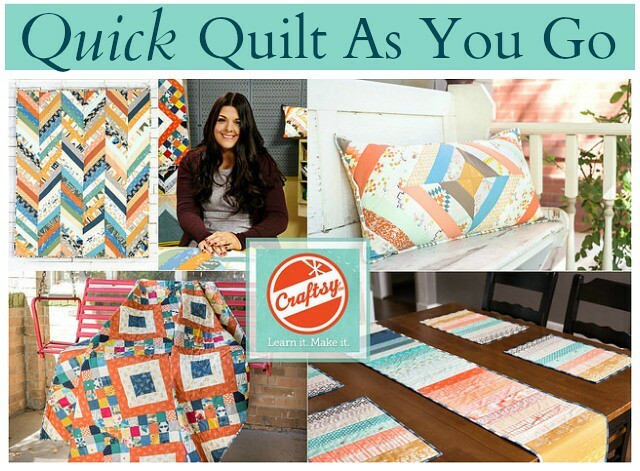 I see a great quilt there! Let me show you. Love this collection! I follow LadyBelle and you! 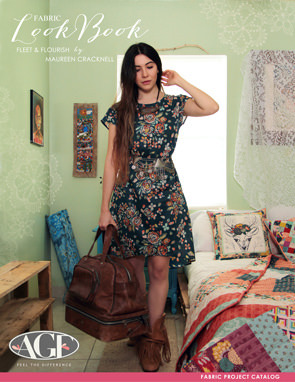 Flower Child is such a glorious bundle of fabric...would love to create with it! 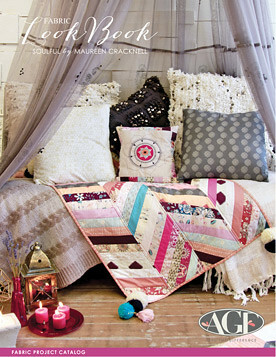 Lovely fabric collection, I love the soft, springy colors! I DO follow Ladybelle Fabrics on Instagram! 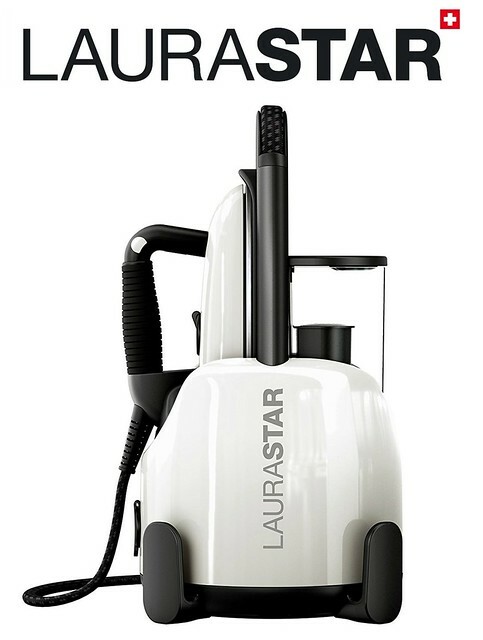 They have a great selection and fantastic prices! I am a happy follower of Lady Belle on IG! I follow both you and Sharon, for sure! 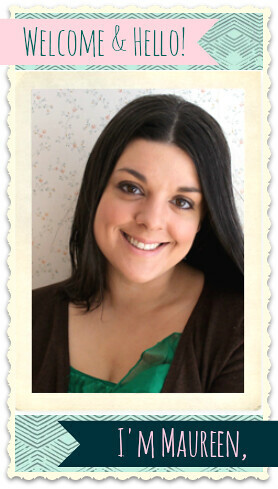 I follow your blog with GFC and Sharon with bloglovin. love this very unique fabric. Thank you for a chance to win it. I follow you and log your blog. I love this new line! What fun fabric! Your fabrics are some of my favorite! Love this one and can't wait for your one this fall - from the pictures I've seen, that might be my favorite! Follow you and Sharon on Bloglovin', Instagram and you on FB. Also sewing along in the Community Sampler. 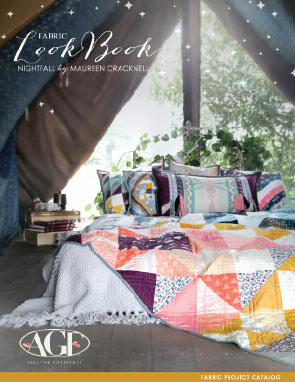 Great fabrics, but those chevrons are really calling to me! 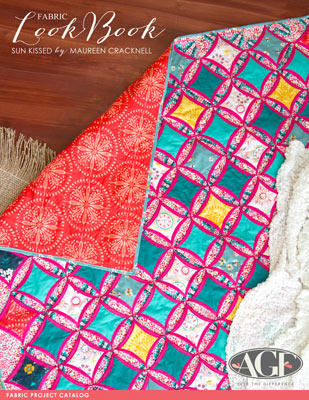 These are beautiful fabrics and the sampler sounds like a lot of fun. I wish I had the time to participate. I follow you and Sharon on IG. I just love love the fabrics in this bundle. I follow you on Facebook and instgram. Gorgeous fabrics!!! I want it all! haha to make pillows and skirts for my granddaughter!!!! She loved it when she saw it! These are beautiful fabrics--makes one dream of designs! 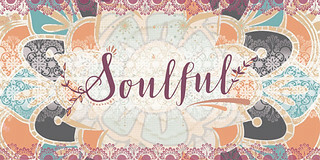 I am now following Lady Belle Fabrics! Yayyyy!!! 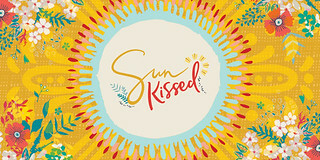 I am currently following your blog Maureen and I love it! I love it when the giveaway is a bundle of your fabrics! They look so pretty, and it is so cool that Lady Belle is offering them. I follow your and Sharon's posts via Bloglovin. 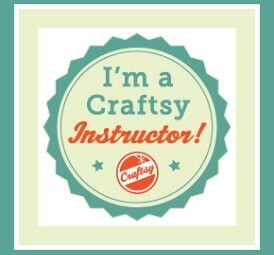 I am always pinning something of yours to my Pinterest board and also follow you on FB! What a happy collection. Love these patterns and colors. 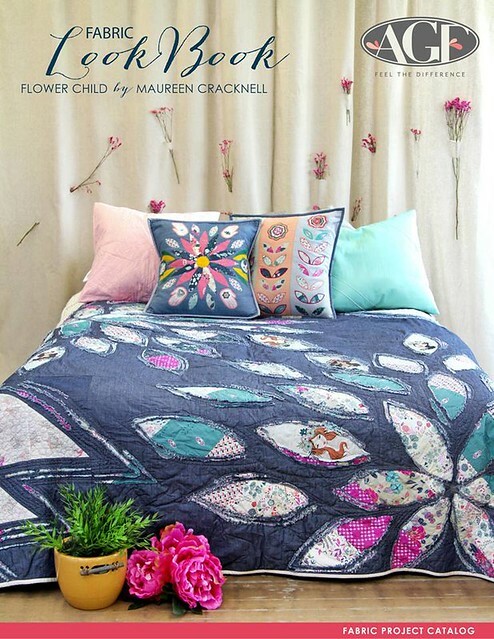 I follow Maureen and Sharon on bloglovin. Great colors in the collection. Thanks for the giveaway! Makes me think of flowers on the deck. One of these days I may win! Thank you for all the inspiration. Gorgeous fabrics! Love the colors! Beautiful fabrics! Thank you for the giveaway. I follow Lady Belle Fabrics on Instagram. Maureen and Sharon, I follow both of you on Instagram. Enjoy your blogs and helpful hints. I follow you and Sharon via Emails. 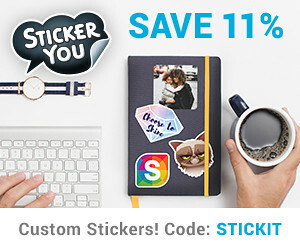 Love your designs and this collection! Very pretty fabrics, and I do love fat quarters! Maureen, Lady Belle Fabrics is one of my favorite shops. Best prices and fast perfect delivery of all the fabric I need. 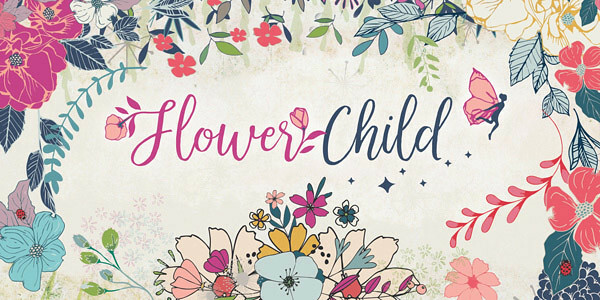 Flower Child is such an adorable collection. I was just looking through all of your collections recently and you have some gems! 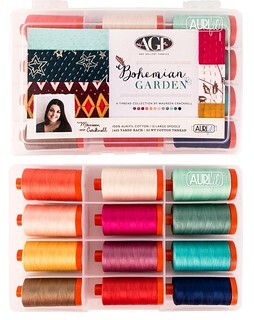 Who doesn't love a FQ bundle!!! I follow both your and Sharon's blogs! And, of course I follow lady belle! Wow, such unique and beautiful fabrics! I follow your blog and Sharon's on my blogger dashboard/GFC. Yeps, I spread the word on Instagram!! Absolutely gorgeous fabrics! Thanks for the chance! 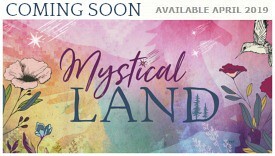 I follow Lady Belle Fabrics on FB. I follow you via email and fb. I (of course) follow you and Sharon. Thanks for the chances to win!! Maureen, I love you new line! Such pretty colors. I follow Lady Belle Fabrics on Instagram, along with you and Sharon Holland. I have enjoyed these blocks using an assortment of your fabrics. I also follow Sharon's blog. Such lovely fabrics - would make a lovely quilt. I follow you and Sharon. I love to get packages of coordinating fabric. So timesaving. Thanks. I follow you both on bloglovin. Lovely mix of colors, what a delight to work with. I love to buy bundles of coordinating fabric.Thanks for the chance! 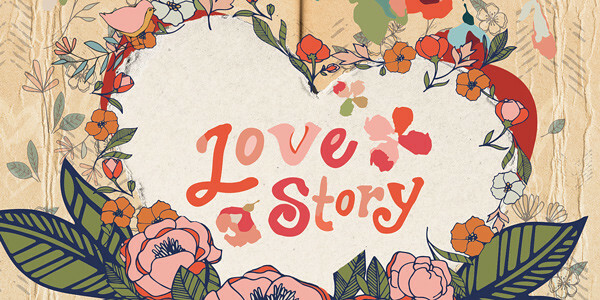 I follow your blog via email and fb. I'm an original flower child. So this bundle and i were meant to be! (?) Thanks for the opportunity to win! I follow both you and Sharon. I follow LB on Fb. I love this fabric! What a great giveaway! I follow both you & Sharon via email. Checked out LB fabrics on FB & their online shop. I LOVE these fabrics! Would love to have a chance to win! I just shared you FB post about this giveaway on 3 separate pages... My personal FB page, my Gina's Custom Creations FB page, and our Tuesday Quilters quilt group FB page! FOLLOW LADY BELLE ON FB,GMAIL. Your my favorite page to follow on facebook!!!!! Love this fabric. Who wouldn't want a Flower Child? wow what a generous give a way. such pretty fabrics. these would make a pretty pillow for some young ladies. Your fabric collection is beautiful. I follow both you and Sharon via email. Enjoying the Community Sampler posts immensely. Thank you. I follow both you and Sharon by email. Such pretty fabrics and a great sew along! I follow both of your blogs! 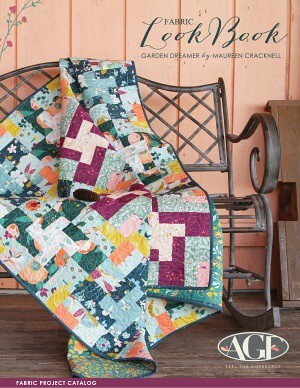 This is the first give-away I've entered during this sew-a-long. I love your fabric lines & would love this one! I follow both you & Sharon by email, fb, & instagram. I follow Lady Belle also! The fabric is gorgeous! As always. I follow you and Sharon on bloglovin.